2010 GLAAD Media Awards were held in Los Angeles on Saturday night. 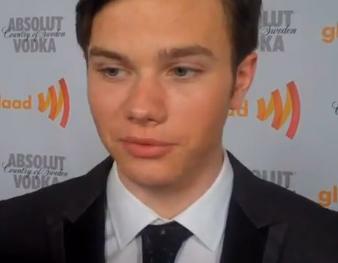 Openly gay Glee star Chris Colfer was there and spoke with The Dish Rag (see video below). Colfer talks about that Lady Gaga outfit he wore ('it was so hot'), Julie Andrews (!) and how the GLAAD Media Awards "... represent everything my character is trying to do on the show."